NYTimes article (direct link below) published online this week (1st week in Jan 2019) by Clay Risen is long and interesting. The first part talks about KY Owl's creation including Jim Rutledge's role. Dixon Dedman, KyO creator, comments extensively. The state of the current bourbon boom is discussed throughout the article, and the latter part of the article focuses on the "Napa-fication" of Kentucky; that is, tourism for bourbon persons. It's a "business" article, not a travelogue. The NYT has a page limit for nonsubscribers, but unlike the WSJ, the limit usually allows the reading of two or three articles before the "subscribe" banner appears. 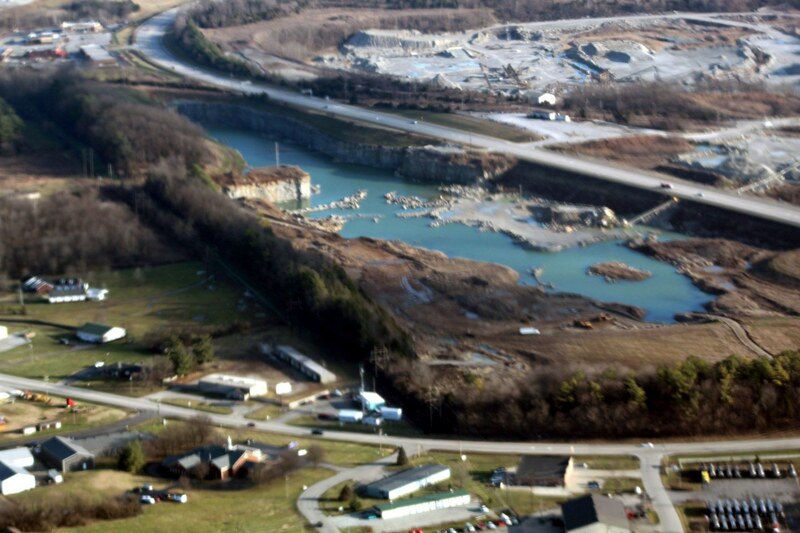 Here is a picture of the Haydon Materials rock quarry that Stoli Group bought for the new Kentucky Owl distillery and visitor center. Taken at 1,000 feet, looking west.